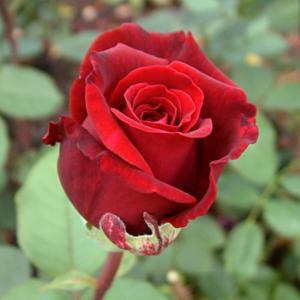 Hybrid tea rose with fragrant, velvety dark red flowers throughout summer. Bushy, upright habit with glossy dark green leaves. Disease resistant. 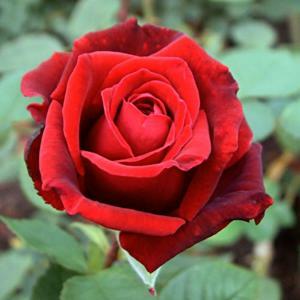 Fertile, moist, well drained soil in an open sunny position. Tolerant of poor soils. Deadhead regularly and cut back flowering shoots at the end of summer.